Books & Cooks! 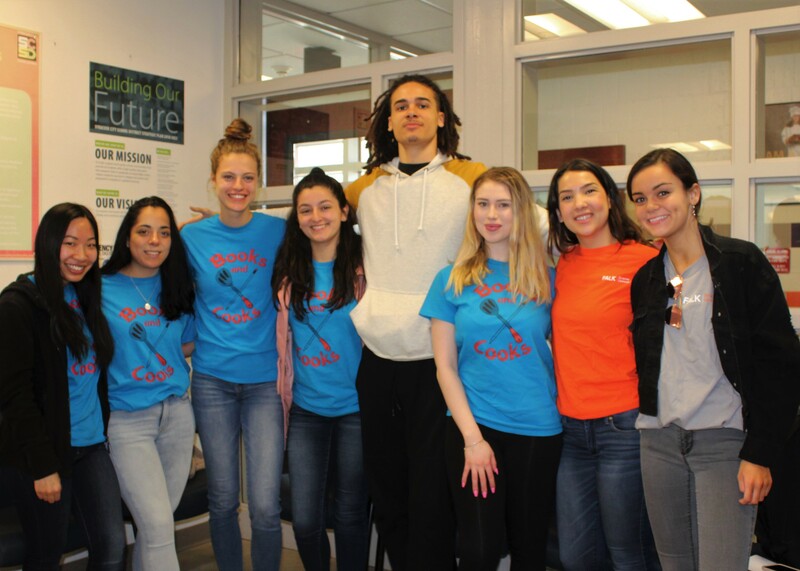 is a program in which SU students provide tutoring and nutritional information to elementary school students to improve literacy rates and healthy habits. Books & Cooks! 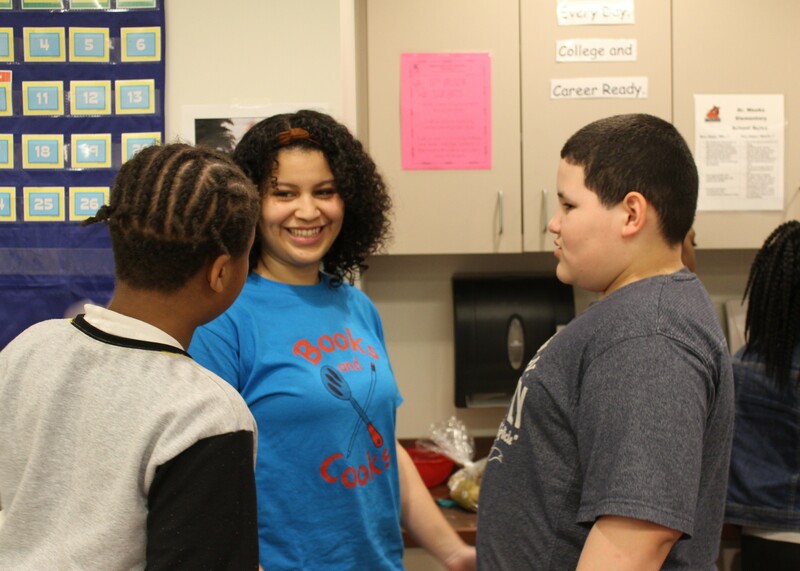 recruits students from the Department of Public Health, Food Studies, and Nutrition to facilitate hands-on food preparation and nutrition lessons, introducing elementary students to a different culture each week. Each Books & Cooks! 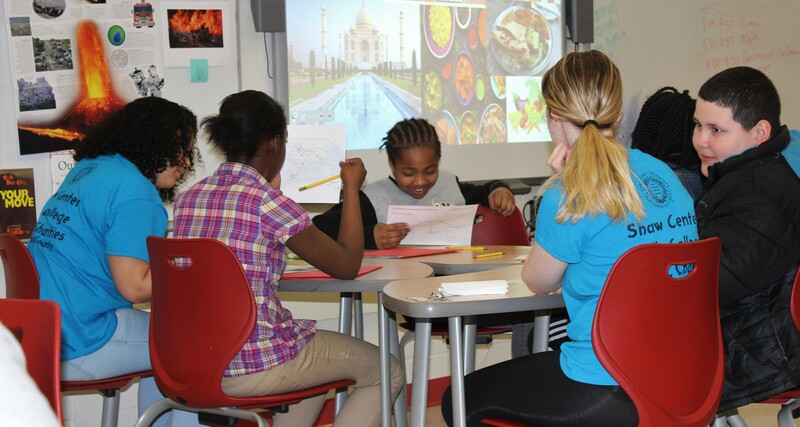 lesson consists of readings, activities, and healthy meals, relevant to a different culture from around the world. The children have measurably grown in their understanding of kitchen skills and nutritional wellness, and have been introduced to healthy food alternatives. The 2010 Books & Cooks! team was recognized by the Clinton Global Initiative University with the Outstanding Commitment Award funded by the Wal-Mart Foundation. 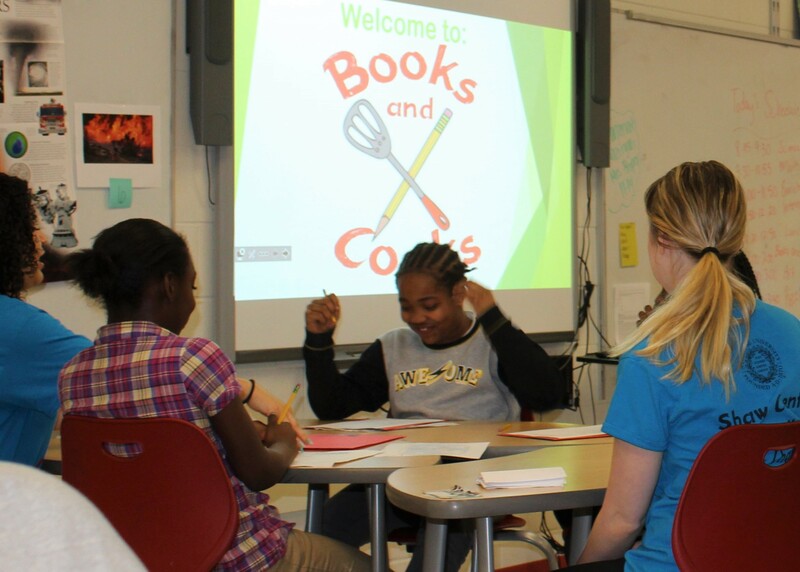 With the award funding and support from the Shaw Center, the team purchased books, maps, and other interactive activities to facilitate the lessons.The Books and Cooks! 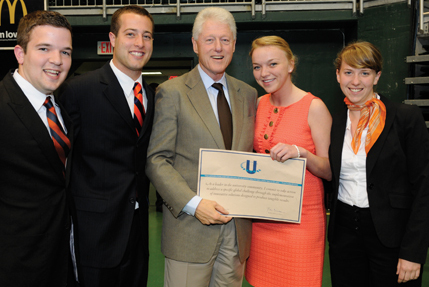 team poses with Bill Clinton at the 2010 Clinton Global Initiative University. Pictured (from left) are Tim Biba ’11, Greg Klotz ’10, Clinton, Allison Stuckless ’11, and Kate Callahan ’10.